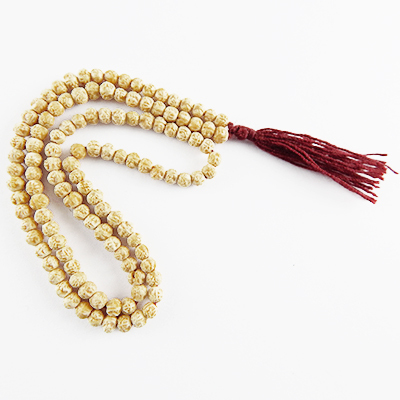 Rudrani Mala are made of tiny natural beads of 3mm to 4mm. It looks like Rudraksha Beads and are believed to be female part of the Rudraksha. Rudraksha and Rudrani together symbolizes masculine and feminine and energy. Wearing or worshiping both brings harmonious relationship between husband and wife. Within a person it makes a person more balanced with harmonious masculine and feminine energies.